On December 9, I finished the California International Marathon (CIM) -- my eleventh marathon -- in 2:42:24, a six-minute PR. With this many marathons under my belt, I can attest that it doesn't take many races before the marathon PRs start becoming fewer and farther between and one quickly reaches a point where a personal best of mere seconds becomes a milestone. Eleven marathons give a runner the chance to make mistakes and adjustments. And while I do not pretend to add anything new to the field of training theory, I thought I'd write a post about some of the things that I did differently this cycle in part to share some ideas with other marathoners but mostly because I know that readers of this blog are a bunch of wonks who like to debate the minute details of their training logs. I have typically begun marathon cycles by building an aerobic base consisting of a large volume of miles at much slower than marathon pace before launching into speed work in the weeks leading up to the marathon. I've seen many authoritative sources that recommend a similar approach, such as Pfitzinger and Douglas, who, aside from regular strides, do not recommend true track workouts until eight weeks before race day. 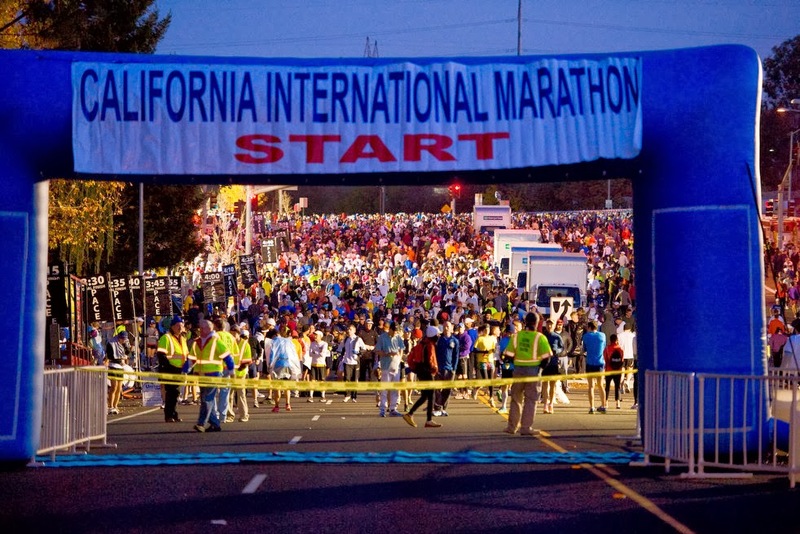 See Pete Pfitzinger and Scott Douglas, Advanced Marathoning, 2d ed. (Human Kinetics 2009). I know this method works for many runners, but I don't have great leg speed and my 5k times are downright pedestrian. So in July and August, before I started ramping up the miles, I focused my efforts on getting to the track every Wednesday to do short repeats ranging from 400m-1200m at 5k pace or faster. This was a good way to improve turnover and as the leaves started changing (but still before starting marathon-specific work) Coach Jerry prescribed longer repeats beginning at about 10-mile pace and cutting down to 10k pace. For example, 3200m, 2400m, 1600m, 800m (August 28); 5 times 2k (September 18); and 4 times 2400m (October 9). The progression to longer repeats got me comfortable running at faster than marathon goal pace (MGP) for relatively long distances and laid the groundwork for marathon-specific tempos later in the cycle. By September, I was really hitting my stride on the long intervals and was confident that the faster stuff would make MGP feel sustainable. My first marathon effort occurred on September 14, when I ran the Navy Half Marathon at ten seconds per mile faster than MGP. Although I definitely felt some rust, this race confirmed that my speed work made marathon pace feel achievable. After Navy, the rest of the cycle centered on two goal pace runs designed to sustain MGP at increasingly longer distances. On September 29, I did a long run at the National Capital 20 Miler in which I warmed up for the first four miles and then churned out 16 miles at close to MGP (2:06:19 round trip). Then on November 2, I did a monster goal pace running on the Capital Crescent Trail consisting of 20 miles at MGP (2:03:30) with a very brief warmup and cool down. Before this cycle, the longest continuous marathon goal pace effort I had ever completed was 14 miles (consisting of 21 miles total with 14 at goal pace) and I'm convinced that the increased volume at goal pace was the single biggest factor contributing to my PR at CIM. While 14 at MGP is nothing to sneeze at, for me, it was a bridge too far from 26.2 -- in my experience, you need to build up to 16 or more miles at MGP to simulate the stress of the marathon and practice concentrating for the extended period of time that it takes to complete this distance. I'm no expert, but if you are considering incorporating these sorts of long, Canova-style tempos into your plan, I have three observations. The first is that these efforts will eat up a big chunk of recovery time and will require a training plan that affords a high degree of flexibility. Although you can be sure that you won't be at Workout Wednesday after one of these big tempos, one cannot predict with any degree of certainty how long it will take to recover. You need to play it by ear and get back to it when the time is right, whenever that may be: I blocked off on my calendar an entire week after the long run so as not to tempt myself to do a workout too soon just because it was on the schedule. Because of the long recovery times, a runner needs to resign himself to the fact that there will be large gaps in the training log and that he will not be doing much speed work while doing these marathon-specific runs. Although I had to go long periods with little or no time on the track, I found that doing 8-10 strides once or twice a week helped to maintain turnover while not taxing me as much as traditional speed work. The second thing I learned is that I'm not really capable of just waking up and grinding out 20 miles at goal pace; rather, I had to treat these efforts as races, including a mini-taper for three days leading up to the weekend. My run on September 29 was during an actual race, which helped keep me focused. And Dickson Mercer ran the back half of the November 2 run with me which helped me to focus and pretend I was in a race situation. Finally, when you have a training strategy that hinges on just a handful of runs, you need to really nail each one. And to do that requires a fair amount of luck in terms of conditions and health because there isn't much room in the calendar for do-overs. In addition to the marathon pace runs, I did a handful of efforts at closer to my threshold pace, which I think built some strength. Coach Jerry oversaw a couple of 5-mile tempo runs at half marathon pace on the track and on November 16 I ran the Richmond Half Marathon in 1:16:21, thereby setting a PR that had stood for 2.5 years. It's been my experience that a good half marathon does not tell you much about how you will feel at mile 19 of a full, but Richmond gave me some confidence and provided an indication that my marathon goal pace was sufficiently below my threshold to be realistic. In a few previous marathons, my strategy was to get out quick and hold on for dear life during the last 10k. The authorities that I've read differ on the most efficient pacing strategy. Pfitzinger and Douglas recommend generally even pacing with a slightly positive split: "your running economy will tend to decrease slightly during the race . . . The result is that your optimal pace will be slightly reduced during the latter states of the marathon. . . If you ran negative splits for the marathon, chances are that you ran more slowly than optimally during the first half of the race and could have had a faster finishing time." Noakes, on the other hand, says "you should never listen to those who advocate that you must run the first half of an race faster so that you will have spare time to cushion your reduced pace in the second half. My personal advice is that you should always aim to run [negative splits]. This gives the impression that you are running much faster than you really are." See Tim Noakes, The Lore of Running, 4th ed. (Human Kinetics 2003). Before CIM, Coach Jerry advised shooting for a negative split by starting out a little easier, sinking into race pace during the first few miles, and then maintaining that pace to the finish. I know people who have had success with different strategies, but I am sure that negative splits were the right call for me. I went through the half in 1:21:37 and 20 miles at 2:04:07. I closed in 12:06, the fastest two miles of the race. Having had a number of prior blowups at around mile 22, I think that holding back early and picking it up around mile 18 is a pretty good way to run a race. It's been my experience that I can summon more determination when I'm running well late in the race but still holding it together than I can when I'm far ahead of PR pace at mile 20 but struggling not to hemorrhage too much time over the final 10k. This is especially true because people like me with limited leg speed have much less margin for pacing error in a marathon than guys or women who can run a blazing 5k. Even assuming that positive splits are the most efficient strategy from a physiological standpoint (which Noakes disputes), the marathon is not a purely physical event and it felt great to be on PR pace at mile 22 while passing other runners. Looking back, I'm confident that I made a number of tweaks from previous cycles that helped put me in a position to run a PR. But more than anything, I was just "on" this time around (the goal pace work helped, but one still needs to be running well to complete these workouts). The last time that I was able to nail every workout for weeks on end was the winter and spring of 2011. I had just started training with GRC and was able to hang with the B group at BCC almost every Wednesday night (which doesn't happen all that often). In March of 2011, I ran a huge PR at the National Half Marathon. That PR stood for two and a half years, during which I did not so much as come within 90 seconds of my time until setting a new PR at Richmond on November 16. For two and a half years, I tried everything to break the PR that I set at the National Half, including attempts to recreate the buildup that yielded it. And I nearly resigned myself to the notion that I had realized my full potential at the 2011 National Half Marathon. Sure, I had races during that time period where things outside of my control made a PR impossible -- heat, injury, illness, wind and breeze, etc. But I also had a number of golden opportunities -- perfect weather on fast courses preceded by weeks of injury-free hard training -- on which, for whatever reason (lack of effort not among them), I didn't capitalize. Then comes a season like this when, after two and a half years, I set a new half marathon PR at Richmond and had a breakthrough at CIM. Why did everything fall into place this cycle, when so many others yielded lackluster results? I have no idea other than to say that things just "clicked" this time around. Hard work, flat courses, and perfect conditions are not guarantors of success in this unfair sport. This cycle gave me an appreciation for the vastness of the constellation of variables -- tangible and intangible, within your control or otherwise -- that must align to run a great race. When I think about all that must go right and all that can go wrong, two and a half years is not a long time to wait for a breakthrough on the roads. If my next banner season doesn't come until the middle of 2016, I will count myself very lucky. Breezy, that's an excellent post. I would add as a corallary to your final point that "hard work, flat courses, and perfect conditions are not guarantors of success" that the absence of hard work is a guarantor of failure. The key to success, as you've learned, is to work hard for several cycles, and with any luck, the breakthrough will come on one of them. Congratulations on a great year!